…the common thread is that this Organization is about finding a Way for humanity, as a whole, to turn their eyes to the stars. Reaching for the stars will enrich all our lives here on Earth, and 100 Year Starship will be looking for the best ideas to do that. 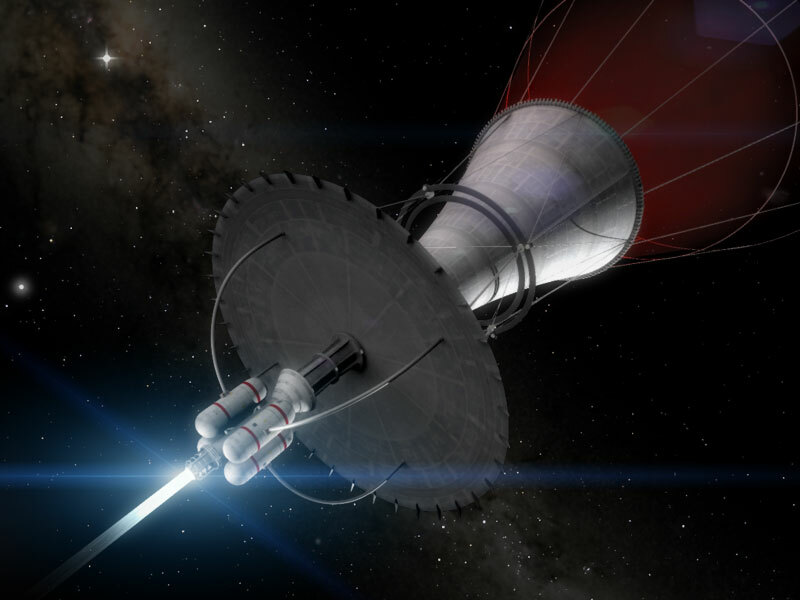 Travelling to the stars requires creating a sustainable way of living for the years, probably decades, it will take to reach other star-systems. By learning to do that we’ll develop the technologies that will enable people to live well here on Earth. Here’s one possible route – just one idea based on a talk by Mark Edwards at the September 2011 Symposium. He’s been advocating the use of algae as a means of creating food, pharmaceuticals and materials for years. The systems he has developed, using a bunch of algal species, can produce a broad variety of products – many of which we already consume without knowing it. His vision was food/drug/fabric/cosmetic “independence” for the average person – in a real way an automated Cornucopia, able to feed, treat, decorate and even clothe us, all through sunlight, carbon dioxide in the air, and some nutrients. Can you imagine doing away with the hit-and-miss of dirt-farming? And all perfectly suited for living in space for decades at a time. That’s just one (very good) idea amongst probably thousands (millions) more. In time, as creativity is channelled into such concepts, I’m hopeful of a near total transformation of how we feed, clothe, decorate, house and power our selves and lives. Even with Crazy-Times ahead, thanks to the GFC 2.0 looming in Europe and beyond, I believe we can solve our problems and transform our lives. Our hope and self-belief need a common focus, and I think the 100 Year Starship is just the vehicle for that. What will make our lives better here, will enable us to take them There, to the Stars. So join us in this journey, in whatever way you can.